You are here: Home / Climate Change Adaptation / How resilient is your supply chain? With supply chains increasingly complex and global, it’s difficult to manage the risks effectively. A recent Hepatitis A outbreak from frozen berries labelled as Australian but sourced from China shone a spotlight on several aspects of supply chain risk, predominantly product liability. Around the same time the 2015 FM Global Resilience Index prepared by Oxford Metrica showed Australia slipping 10 places since 2014, with perceived supply chain risks increasing markedly. Supply chains are exposed to a wide variety of risks ranging from corruption, counterfeiting and safety concerns to the ethicality, sustainability and provenance of sourced products and, critically, the resilience of both producers and the logistics methods used to move goods. Customers depending on your products want to ensure they can obtain them when required, with consistent pricing, known quality and compliance with applicable standards and laws. However, business’ efforts to make supply chains lean (efficient and cost effective) may also compromise their resilience. With many supply chains highly complex and spanning multiple borders, the risks are growing. It’s not sufficient simply to talk to your organisation’s direct suppliers. For example, Japan’s entire automotive industry was crippled following a relatively minor 2007 earthquake in Kashiwazaki in Niigata Prefecture after a single specialised supplier that produced piston rings for every brand – some seven layers down the supply chain – was knocked out. In that classic case of concentration risk the impact was limited to about a week as the industry rallied to help this critical supplier recover their operations, but it’s not always that simple. Information Technology giant Hewlett Packard was not immune when floods ravaged Thailand in 2011/12, knocking out key suppliers’ manufacturing facilities, causing production delays and a reported 20% spike in input costs. 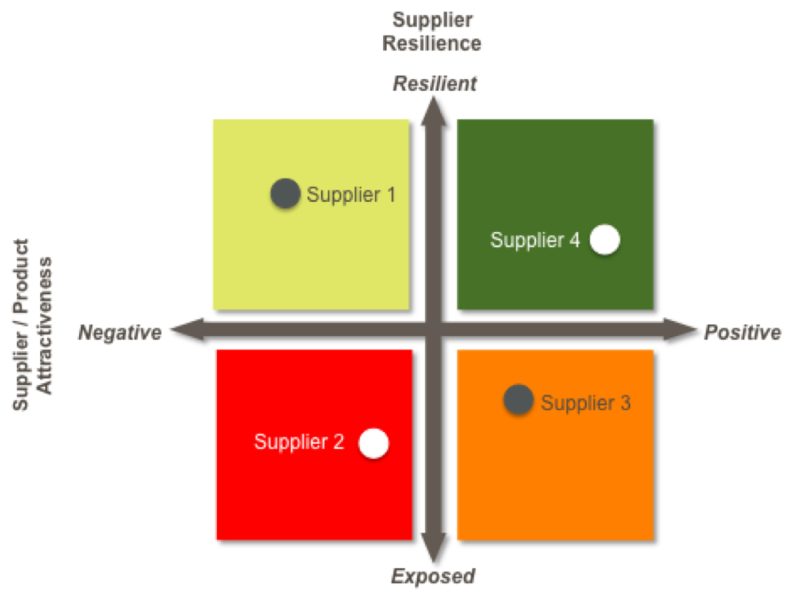 While most organisations’ enterprise risk assessment processes consider the impacts of a loss of a key supplier, in many cases the analysis of supply chain risks is relatively superficial. Unless an organisation has considerable buying power it may be difficult to implement cost effective risk treatment measures. Extreme weather events are becoming more frequent and/or intense in many regions. Depending on the area this may include devastating storms, flooding rains, droughts and heat waves, the latter also triggering bush fires. Many coastal areas are exposed to storm surges, the impact of which is being magnified by higher wind speeds and rising sea levels. The overall warming of the atmosphere and oceans is increasing average temperatures and changing rainfall patters, affecting agricultural and forestry production. Marine food supplies are also under threat as a lot of the excess carbon dioxide being emitted into the atmosphere from the burning of fossil fuels (coal, oil and gas) dissolves into sea water and forms carbonic acid, increasing acidity and threatening krill and other crustaceans at the bottom of the food chain. Some countries are significantly more exposed to these impacts than others given their geography and economic capacity to adapt their infrastructure accordingly. Costs may also increase if the jurisdictions within which suppliers operate impose new regulations or taxes. Carbon taxes are a current case in point, and for products that are energy intensive or whose production results in other forms of greenhouse gas emissions, their imposition could materially affect pricing. If alternate suppliers exist whose goods are not subject to such taxes, their pricing could become preferential. The same goes for water intensive industries in regions where supplies are in decline. In another case, food suppliers already grapple with periodic droughts and storms that cause supply shortages and consequent price hikes. Retail prices for bananas, for example, have soared over 500% in the months following several recent Queensland cyclones. And paying a closer eye to local conditions can also pay dividends for a range of businesses whose demand and product range is correlated to the weather. This includes categories such as fashion, gardening and even fast food. As local climates change this will in turn affect longer term product range and market geography decisions. Meanwhile, responding to changing consumer sentiment regarding climate change and environmental protection, corporate, government and individual purchasers are increasingly interested in ensuring that the products they consume are sourced and produced in ways that minimise their environmental impact. To inform purchasers and provide product differentiation, a sub-industry of so-called “eco-label” schemes has sprung up in the past decade or two. There are currently over 450 such labels covering dozens of categories and thousands of products, on top of existing labels for quality management, food nutrition, standards compliance and so on. The problem is that the quality of such schemes varies considerably and even corporate procurement professionals are often bamboozled by the sheer range of environmental certifications. Some only cover a fairly narrow aspect of environmental impact, some may cover a particular stage of processing but not the full supply chain or lifecycle impact, some lack independent assessment or verification, while others are little more than marketing fluff. Notwithstanding that in many cases corporate purchasers don’t prioritise environmental considerations in their product evaluation process to the extent that it has a material influence on supplier decision-making. increased market attractiveness of your products or services. Talk to Adaptive Capability to enhance and safeguard your business.